By having your vehicle regularly serviced it will help ensure it continues to run smoothly and fuel efficiently, and it will minimise the risk of it breaking down and save you from expensive repairs. Call us today on 01298 24333 if you require any information about servicing or would like to book your vehicle in for a service. We offer interim services from £139 and you can find full details of our interim and major services on our Prices page. 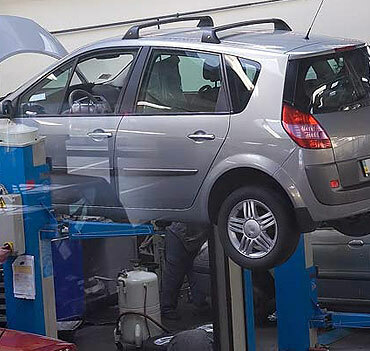 The service interval and type of service required will depend on the manufacturer and on the vehicle’s mileage and age. Interim services include changing the engine oil, oil filters and checking the wheel nuts’ torque. We also check tyre pressure, clutch, power steering and brake fluid levels and the windscreen wash reservoir. Full services include all the interim service items, but we also check the coolant or antifreeze strength, the gearbox and clutch fluid, axle and/or transaxle oil and non-sealed batteries. Visual Health Checks are carried out whether your vehicle is in for an interim or full service, which includes everything on the health check form, which you can see here.